Fitbit, a world leader in the health and fitness. Announced the availability of new smart fitness watch called Fitbit Blaze. It is a $199 fitness tracker available for purchase starting today and it comes with quite a few fun features to help get you moving. The Blaze looks more like a smartwatch than a fitness tracker. It has a 1.2-inch, detachable 240 x 180-pixel colour screen, rubber textured strap and metal frame. 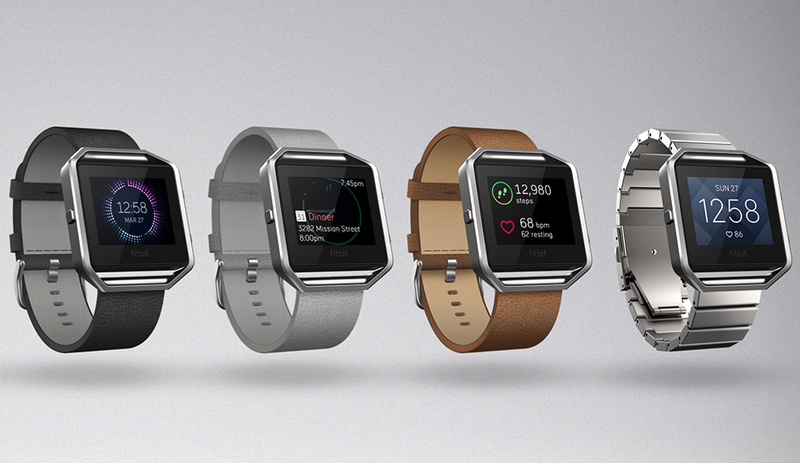 The strap in particular will be familiar to owners of previous Fitbit devices. A lot of Fitbit’s family of fitness trackers do pretty much the same thing — calories burned and track steps, mileage and the Blaze isn’t much different here. But you can click through the color touchscreen to start working out along with FitStar (a video fitness startup Fitbit bought for about $25 million last year in a cash and stock deal), and Blaze comes out with the ability to select activities like running, biking, or the elliptical machine to check for performance. The Blaze is also water-resistant to a degree. It’s safe to go running with it in the rain, but not recommended for the swimming. While a nice dive in the pool might short circuit the device, but the battery is plenty powerful in other ways. It will runs on a single charge for up to five days so you can continuously wear it and even sleep along with it to find out if you are restless during the night . Bluetooth connection for getting texts, appointment reminders, and switching songs on your phone or other notifications.